Children of Henrietta Eliza Sewell and Rev. Dr. Francis James Lundy D.C.L. [S232] Ancestry.com, Quebec Vital and Church Records (Drouin Collection), 1621-1967. Québec (Anglican) (Québec (Anglican Cathedral Holy Trinity church)), 1808. [S232] Ancestry.com, Quebec Vital and Church Records (Drouin Collection), 1621-1967. Québec (Anglican) (Québec (Anglican Cathedral Holy Trinity church)), 1837. [S205] Newspaper, Montreal Gazette, May 13, 1837. [S232] Ancestry.com, American Vital Records from the Gentleman's Magazine p. 252. [S166] Carroll communication, 13 November 2005. [S458] Deborah Carroll, Rector of Grimsby, p. 4. [S232] Ancestry.com, Quebec Vital and Church Records (Drouin Collection), 1621-1967. Québec (Anglican) (Québec (Anglican Cathedral Holy Trinity church)), 1830. [S454] Website Archives nationales du Québec (http://pistard.banq.qc.ca) "Contrats de mariage de la région de Québec, 1761-1946." [S364] Eben Graves, The descendants of Henry Sewall. Vol. II (Unpublished), #413. [S232] Ancestry.com, England & Wales, National Probate Calendar (Index of Wills and Administrations), 1858-1966. [S232] Ancestry.com, Quebec Vital and Church Records (Drouin Collection), 1621-1967. Québec (Anglican) (Québec (Holy Trinity church)), 1860. [S100] 1871 British, Somerset, Walcot Trinity, District 2. [S232] Ancestry.com, Quebec Vital and Church Records (Drouin Collection), 1621-1967. Québec (Anglican) (Québec (Anglican Cathedral Holy Trinity church)), 1796-1800. [S232] Ancestry.com, Quebec Vital and Church Records (Drouin Collection), 1621-1967. Québec (Anglican) (Québec (Anglican Cathedral Holy Trinity church)), 1831. [S225] 1911 Canadian Census, Quebec Centre. [S232] Ancestry.com, Quebec Vital and Church Records (Drouin Collection), 1621-1967. Québec (Anglican) (Québec (Holy Trinity church)), 1897. [S232] Ancestry.com, Quebec Vital and Church Records (Drouin Collection), 1621-1967. Québec (Anglican) (Québec (Saint Mathew`s Church)), 1921. [S232] Ancestry.com, Ontario, Canada Marriages, 1857-1922. [S34] Unverified internet information, e-mail address. Henry De Quincy Sewell, O.L.S., D.L.S., A.M.I.C.E., born 1848, died 1933, was the eldest son of Rev. 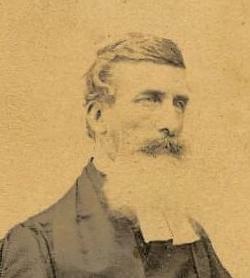 Henry Doyle Sewell, Vicar at Headcorn, Kent, England and grandson of Jonathan Sewell, first Chief Justice of Lower Canada. He was educated at Dr. Murray's School in Kent and at Queen's College, London. He served his articles under the late Sir Joseph Bassilgate of London, England, famous sewage and irrigation engineer. Later, on completion of his articles, he received an appointment from the Nizam of Hydrabad as engineer in charge of that district. After 8 years' service he was forced to resign owing to ill health. Returning to England he entered the employ of the Metropolitan board of works as Divisional Engineer and on Jan. 13th, 1880, was appointed Associate member of the Institute of Civil Engineers. Later coming to Canada he received his Dominion Land Surveyor's commission in 1884, followed by his Ontario Land Surveyor's in 1885. He entered private practice at Port Arthur, later moving to Rat Portage (now Kenora). He did extensive government work in the Rainy River and Lake of the Woods' district including numerous townships and Sewell's base line in 1888 extending from longitude 91° to 92° in latitude 48 degrees 15 minutes and the meridian line extending south from Lake Conmee to Bass Wood Lake. He also surveyed several townships in Saskatchewan and Alberta. He entered private practice at Toronto in 1903, which he carried on until his retirement in 1916. [S232] Ancestry.com, Ontario, Canada Deaths, 1869-1934, York, 1933. [S205] Newspaper, South Eastern Gazette, 30 September 1845. [S232] Ancestry.com, England & Wales Christening Records, 1530-1906. [S89] Family Search, England Births and Christenings, 1538-1975. [S34] Unverified internet information, 1837online.com. [S89] Family Search, England Deaths and Burials, 1538-1991. Henry DeQuincy Sewell III was born in 1916.2 He was the son of Henry Charles de Quincy Sewell and Ida Mary Newdick.1 Henry DeQuincy Sewell III married Mary Mabel Eleanor Parker, daughter of Reginald Lawrence Parker and Mary Alice Blanchard. Henry DeQuincy Sewell III died on 29 May 2003 in Arranglen Lodge, Qualicum Beach, Vancouver Island, British Columbia,3 and is buried in Sunnyside Cemetery, British Columbia. [S205] Newspaper, Victoria Times Colonist, May 31, 2003. [S232] Ancestry.com, Quebec Vital and Church Records (Drouin Collection), 1621-1967. Montréal (Anglican Christ Church Cathedral, Actes), 1851. Rev. Henry Doyle Sewell M.A. "On Friday afternoon the interment of the late vicar (the Rev. H.D. Sewell) took place at Chantry Chapel [Headcorn], where the grave bad been dug by permission of the Archbishop of Canterbury. The mournful procession left the vicarage at a quarter to three, and the coffin was followed, in addition to the relatives of the deceased, by a large number of parishioners and friends, including Dr. Tuke, Dr. Warren, Messrs, J.H. Grant, A.E. Stuart, G. Homewood, G. Oyler, G. Oyler, jun., T.H. Oyler, Keener, and W. Coveney (churchwardens), J. Hosmar, T. Jones, G. Knight, O. Ellis, T. Gibson, J.Tassell, &c. The cortege was met at the churchyard gates by the following clergy, the Rev. Dr. Reyner, rector of Staplehurst ; the Rev. E.J. Selwyn, rector of Pluckley; the Rev. Joseph Lanphier, rector of Ulcomb; the Rev. J. McLachlan, rector of Sevington ; the Rev. Amos, curate of Headcorn; the Rev. W. Peterson, rector of Biddenden; the Rev. 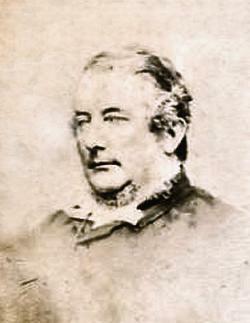 Mercer, vicar of Egerton, &c. On entering the church the Dead March was played by Mr. R.J. Theakstone. The coffin was covered with beautiful wreaths and crosses. The service at the graveside was read in a most impressive manner by the Rev. Joseph Lanphier, and after the congregation passed before the grave to take a last look at the resting place of their pastor. The coffin was of massive oak with brass fittings, and bore on a brass plate the following inscription:- "The Rev. 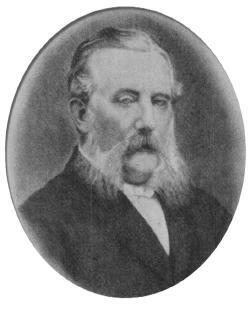 Henry Doyle Sewell, Vicar of Headcorn, died March 19th, 1886; aged 79." The funeral arrangements were conducted by Messrs. Chaplin and Wills." [S232] Ancestry.com, Quebec, Vital and Church Records (Drouin Collection), 1621-1967. [S236] Joseph Foster, Alumni Oxonienses. [S205] Newspaper, Jackson's Oxford Journal (Oxford, England), Saturday, May 31, 1828. [S205] Newspaper, West Kent Guardian, 2 November 1844. [S117] The Times Newspaper, Monday, Mar 22, 1886. [S205] Newspaper, Birmingham Daily Post (Birmingham, England), Friday, June 25, 1886. [S205] Newspaper, The South Eastern Gazette, 3 April 1886. [S205] Newspaper, Illustrated London News, 26 June 1886. [S232] Ancestry.com, Quebec Vital and Church Records (Drouin Collection), 1621-1967. Québec (Anglican) (Québec (Holy Trinity church)), 1840. [S232] Ancestry.com, Quebec Vital and Church Records (Drouin Collection), 1621-1967. Montréal (Anglican Trinity Memorial Chapel), 1866. [S232] Ancestry.com, Quebec Vital and Church Records (Drouin Collection), 1621-1967. Montréal (Anglican Saint Jude). [S232] Ancestry.com, Quebec Vital and Church Records (Drouin Collection), 1621-1967. Montréal (Anglican Trinity Memorial Chapel), 1868. [S232] Ancestry.com, Quebec Vital and Church Records (Drouin Collection), 1621-1967. Montréal (Anglican Saint Jude), 1880-1881. [S232] Ancestry.com, Quebec Vital and Church Records (Drouin Collection), 1621-1967. Québec (Anglican) (Québec (Holy Trinity church)), 1844. [S232] Ancestry.com, Quebec Vital and Church Records (Drouin Collection), 1621-1967. Valcartier (Church of England), 1868. [S463] 1891 Canadian Census , Québec City. St Louis Ward. [S522] Gordon A. Morley and William J. Park, Mount Hermon Cemetery, O34. [S23] Carma Wallace, "E-Mail Communication," e-mail to John Rees. [S232] Ancestry.com, New York Passenger Lists, 1820-1957. 1936, November 02, President Taft. [S232] Ancestry.com, California Birth Index, 1905-1995 about Judi Ann Sewell. [S208] 1900 US Census, Jersey City Ward 9, Hudson, New Jersey; Roll: T623_ 979; Page: 9B; Enumeration District: 145. [S208] 1900 US Census, Portage, Houghton, Michigan. [S232] Ancestry.com, Quebec Vital and Church Records (Drouin Collection), 1621-1967. Québec (Anglican) (Québec (Holy Trinity church)), 1842. [S26] Hector Livingston Duff, Sewells in the New World, p. 91. [S205] Newspaper, Daily Evening Bulletin, (San Francisco, CA) Tuesday, January 20, 1874. [S232] Ancestry.com, California Death Index, 1940-1997 about Herbert G Sewell. [S232] Ancestry.com, Michigan, Death Records, 1897-1920. [S209] 1870 US Census, Houghton, Michigan. [S89] Family Search, Michigan Births and Christenings, 1775-1995. [S231] 1930 US Census, Ann Arbor, Washtenaw, Michigan. Horace Ross Sewell was born on 31 October 1848.3 He was the son of Dr. James Arthur Sewell and Maria Cornelia Westrene Macrae.1 Horace Ross Sewell was baptised on 26 February 1849 at the Chapel of the Holy Trinity, Québec, privately by E.W. Sewell.3 He was enumerated in the Census of 1881 where his occupation is given as mail officer. He appears to have had three female servants living in his household.4 He died on 12 August 1889 in Bay of Seven Islands [Sept-Îles], Québec, at the age of 40.5 He was buried on 18 August 1889 in Québec City, a memorial inscription has been added to his father's gravestone in Mount Hermon cemetery AA20.5,6 For a few years up to 1889 there are reports of a Mr. Horace Sewell prospecting in the Des Plantes river, on behalf of Monteal parties. [S232] Ancestry.com, Quebec Vital and Church Records (Drouin Collection), 1621-1967. Québec (Anglican) (Québec (Holy Trinity church)), 1849. [S232] Ancestry.com, Quebec Vital and Church Records (Drouin Collection), 1621-1967. Québec (Anglican) (Québec (Anglican Cathedral Holy Trinity church)), 1889. [S522] Gordon A. Morley and William J. Park, Mount Hermon Cemetery, AA20. [S208] 1900 US Census, NY, NEW YORK, MANHATTAN BORO. [S232] Ancestry.com, Quebec Vital and Church Records (Drouin Collection), 1621-1967. Québec (Anglican) (Québec (Anglican Cathedral Holy Trinity church)), 1869. [S160] New York Times, February 23, 1912. [S232] Ancestry.com, Quebec Vital and Church Records (Drouin Collection), 1621-1967. Montréal (Anglican Christ Church Cathedral, Actes), 1842. [S232] Ancestry.com, Quebec Vital and Church Records (Drouin Collection), 1621-1967. Montréal (Anglican Christ Church Cathedral, Actes), 1848. Dr. James Arthur Sewell. Dean of the Faculty of Medicine, Laval University.1 He was born on 31 August 1810 in Québec.2 He was the son of Chief Justice Jonathan/3 Sewell and Henrietta Smith. 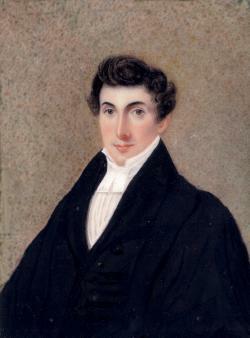 Dr. James Arthur Sewell was baptised on 11 November 1810 at Québec by Salter Jehosaphat Mountain.2 He married Maria Cornelia Westrene Macrae, daughter of Colin Macrae and Charlotte Gertrude van den Heuvel, in 1833. Dr. James Arthur Sewell married Jane Beswick, daughter of George Beswick, on 26 November 1852 in Québec.3 Dr. James Arthur Sewell died on 2 October 1883 at the age of 73 at his residence in St. Ursule Street in Québec.4,5 He was buried on 4 October 1883 in Mount Hermon Cemetery, Plot 312.4,5 JAMES A. SEWELL, M.D., Edin. The death of this well-known physician of Quebec took place at his residence, St. Ursule Street, on the 2nd inst. Dr. Sewell was born in Quebec in 1810, and was a son of the late Chief Justice Sewell. After receiving his professional education in Edinburgh, where he graduated in 1833, he settled in his native town, and had there been engaged in active practice to within a few months of his death. He was one of the original members of the Faculty of Medicine of Laval University, and held the chair of Medicine, and was also Dean of the School. He was chairman of the Marine Hospital Commission, and one of the physicians to the Hotel Dieu. As a governor of the College of Physicians and Surgeons, he took an active part for many years in all the affairs of the Board. At the organization of the Canada Medical Association in 1867, Dr. Sewell was President of the Quebec Medical Society, and took the chair on the first day of the meeting. Subsequently, in the year 1871, he was elected President of the Association. For many years Dr. Sewell was a constant contributor to the British-American Journal and the Canada Medical Journal, in the files of which many of his interesting cases and communications will be found. He was an ardent advocate for the use of tea as a stimulant, and as an antidote to the effects of opium and in uraemia. Dr. Sewell was twice married, and leaves a large family. Two sons are in the profession, both graduates of Edinburgh. One, James A., practices in England ; the other, Colin C., at Quebec. He was a cousin of the late Dr. Stephen C. Sewell, Professor of Materia Medica in McGill College, and of Dr. E. C. Sewell. Dr. Sewell was one of the first surgeons in Quebec to use chloroform in an amputation of the legs of a French sailor in the Marine Hospital in January 1848. [S117] The Times Newspaper, Saturday, Oct 06, 1883. [S232] Ancestry.com, Quebec Vital and Church Records (Drouin Collection), 1621-1967. Québec (Anglican) (Québec (Anglican Cathedral Holy Trinity church)), 1810. [S232] Ancestry.com, Quebec Vital and Church Records (Drouin Collection), 1621-1967. Québec (Anglican) (Québec (Anglican Cathedral Holy Trinity church)), 1852. [S232] Ancestry.com, Quebec Vital and Church Records (Drouin Collection), 1621-1967. Québec (Anglican) (Québec (Anglican Cathedral Holy Trinity church)), 1883. James Arthur Sewell, M.D., L.R.C.S.Ed. "Dr James Arthur Sewell died at Mentone on the 2nd. of January. He belonged to a family long settled in Canada, which produced some distinguished lawyers. His grandfather was the Honourable Jonathan Sewell, Chief Justice of Lower Canada. His father was a physician in Quebec. Dr. Sewell graduated at Edinburgh 1856, and at the same time took the diploma of the College of Surgeons of that city. He entered the service of the Honourable East India Company in 1857. During the mutiny he was amongst the slender garrison which held the Fort at Agra, the only place remaining to us in the North-West until after the capture of Delhi. Dr Sewell was present at the action with the Nemuch Brigade and other fights with the mutinous Sepoy regiments about Agra. He remained eight years in the Indian Medical Service, after which he resigned his commission and went Québec, where he married a Canadian lady who only lived a few years after the marriage. About twenty years ago, he went to London where he set up in practice. He married for the second time Mrs Elizabeth Ainslie, daughter of the late Robert Ainslie, Esq of the Elvingston. Everything seemed to promise a prosperous career, when there appeared symptoms of phthisis. Against the attacks of this disease Dr Sewell struggled with heroic fortitude. He tried many health resorts, the South of England, Pau and the Engadine, but finally settled at his residence, Villa Blanche, Mentone, generally spending the summer months in Savoy and Switzerland. Dr Sewell was above six feet in height, a remarkably fine looking man. He was of a cheerful and lively disposition and kind and faithful friend. He had a ripe knowledge of his profession, and from his general culture and travels his conversation was most agreeable. He had much power of wit and humour, and a large fund of anecdotes. His long and often trying illness was cheered by the care and company of his wife and daughter. His only son is now in Canada." Scottish Medical and Surgical Journal, Vol. 4. 1899, pp. 165,166. [S232] Ancestry.com, Quebec Vital and Church Records (Drouin Collection), 1621-1967. Québec (Anglican) (Québec (Anglican Cathedral Holy Trinity church)), 1834. [S114] D.G. Crawford, Roll of the IMS, 1743. [S117] The Times Newspaper, 3 April 1862. [S205] Newspaper, The Morning Post (London, England), Tuesday, January 10, 1899. [S192] Private communication, citing the registers of Christ Church, Montreal, from 1801 to 1828. [S232] Ancestry.com, Quebec Vital and Church Records (Drouin Collection), 1621-1967. Montréal (Anglican Christ Church Cathedral, Actes), 1816. [S232] Ancestry.com, Quebec Vital and Church Records (Drouin Collection), 1621-1967. Montréal (Anglican Christ Church Cathedral,Actes), 1839. [S205] Newspaper, Glasgow Herald (Glasgow, Scotland), Monday, April 16, 1849.